Justin A. Goodman of Zacks, Freedman & Patterson, PC will join a panel of attorneys (who represent both tenants and landlords), as well as the Senior Advisor at the Office of the Mayor, to teach a continuing legal education course on the Ellis Act. The course will include preparing for withdrawal of residential property from the housing market, the transactional process leading to termination of tenancy, common defenses, and the lasting effect on the property after ‘going out of business’. The MCLE course is presented by the Bar Association of San Francisco, and will take place on December 10, 2018 at 12:00pm in the BASF Conference Center, located at 301 Battery Street, 3rd Floor, San Francisco, California. The Bar Association of San Francisco has been providing San Francisco legal professionals with networking and pro bono opportunities in order to better serve the community since 1872. Its mission is to champion equal access to justice and to promote humanity, excellence, and diversity in the legal profession. It provides legal services to disadvantaged and underserved individuals in San Francisco and creates opportunities for legal service in the community, encouraging participation by its members. It advances professional growth and education, and elevates the standards of integrity, honor, and respect in the practice of law. It also cultivates diversity and equality in the legal profession, provides a collective voice for public advocacy, and pioneers constructive change in society. 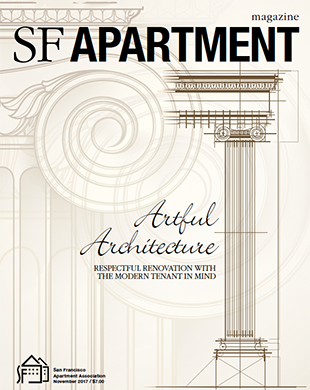 Justin Goodman was featured in the Legal Q&A for the November 2018 issue of SF Apartment Magazine – the official publication of the San Francisco Apartment Association. 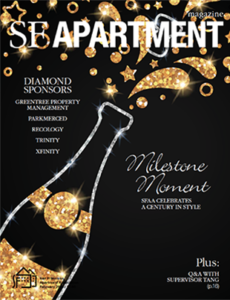 Justin discussed potential liability for a landlord “waiting too long” to rent an available apartment when he is only receiving applicants enrolled in the Section 8 program, as well as how the recent opinion CCSF v. Post (2018) changed the rules on “source of income discrimination” in San Francisco. 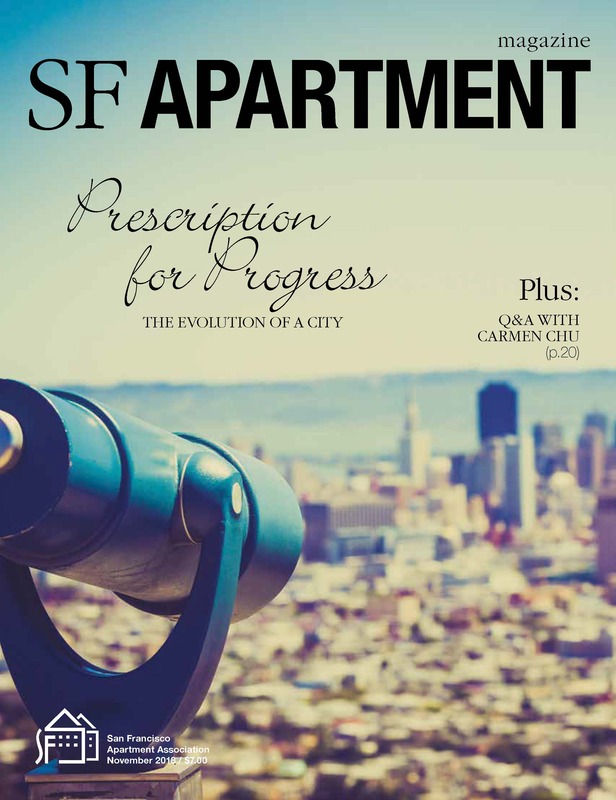 Justin Goodman was featured in the Legal Q&A for the February 2018 issue of SF Apartment Magazine – the official publication of the San Francisco Apartment Association. Justin discussed the distinctions between the landlord-tenant relationship and master tenant-subtenant relationship with respect to rent control. Justin also discussed where this distinction might be blurred, who might be considered the “original occupant” (for purposes of rent control and Costa-Hawkins) and how a landlord can best position themselves for clear-cut lines with well-defined rights going forward. 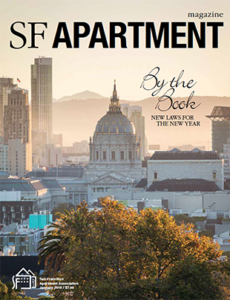 Justin Goodman was featured in the Legal Q&A for the January 2018 issue of SF Apartment Magazine – the official publication of the San Francisco Apartment Association. Justin discussed San Francisco’s recent “ISP anti-monopoly” ordinance (titled “Occupant’s Right To Choose a Communications Services Provider”), explaining the ISP’s obligations in complying with the law while seeking access to a building, as well as an owner’s rights and duties in allowing (or lawfully refusing) access.